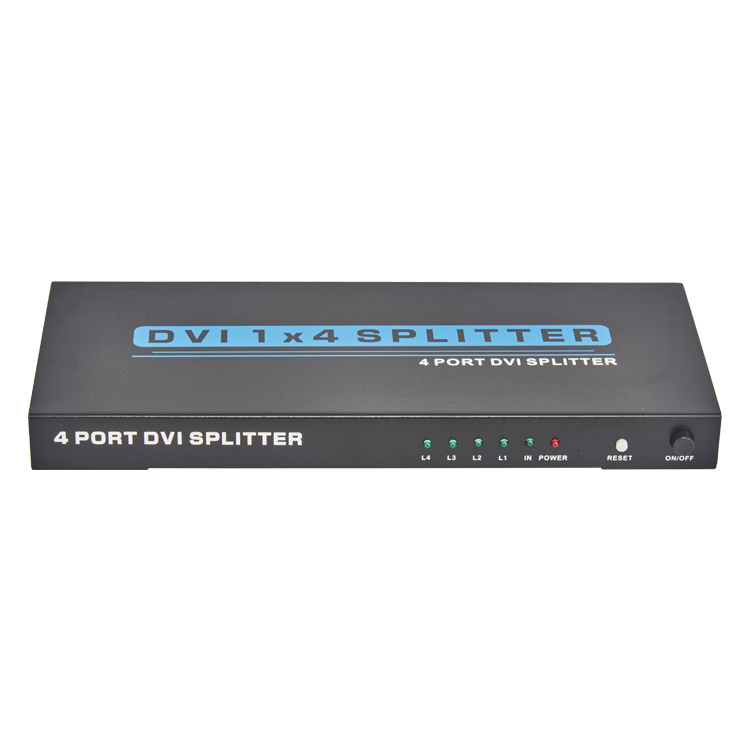 DVI 1x4 Splitter 4K - Buy DVI Splitter 4K, DVI 1x4 splitter Product on Shenzhen Zenhon Technology Co.,Ltd. 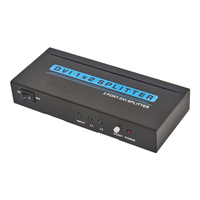 The DVI splitter can allow multiple video display units connected to one DVI Source and display the same HD picture at the same time. 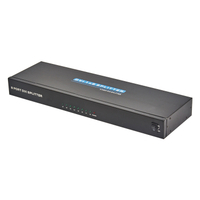 So that you can share one signal source, greatly reduce the cost of system.The products are designed to make your A/V device use more convenient, comfortable, productive and cost-efficient.Our devices offer solutions for noise, space and security concerns, data center control, information distribution, conference room presentation, school and corporate training environments. 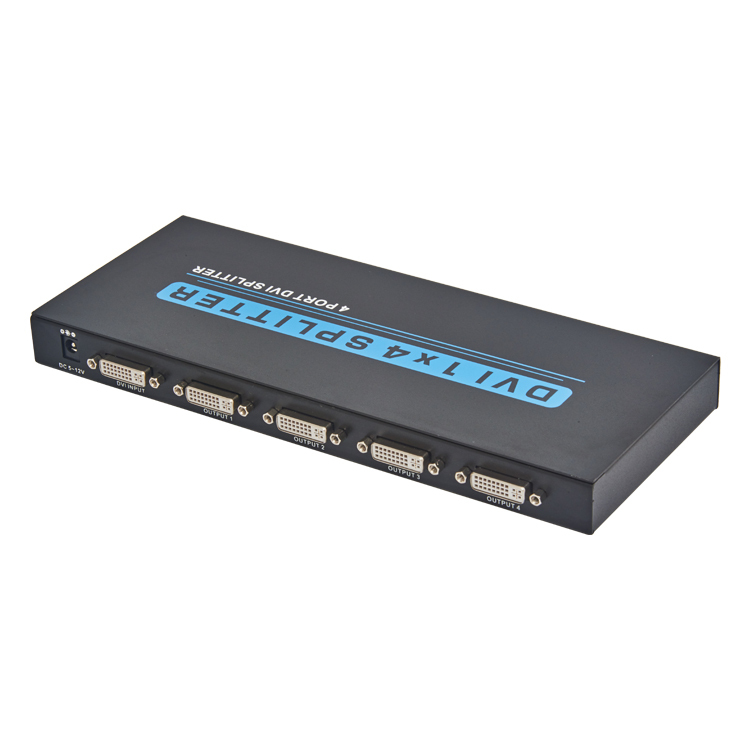 1.1X DVI-D input and 4 DVI-D outputs. 3.1 Connect one dual link DVI-D cable from a DVI signal source into the input port of splitter. 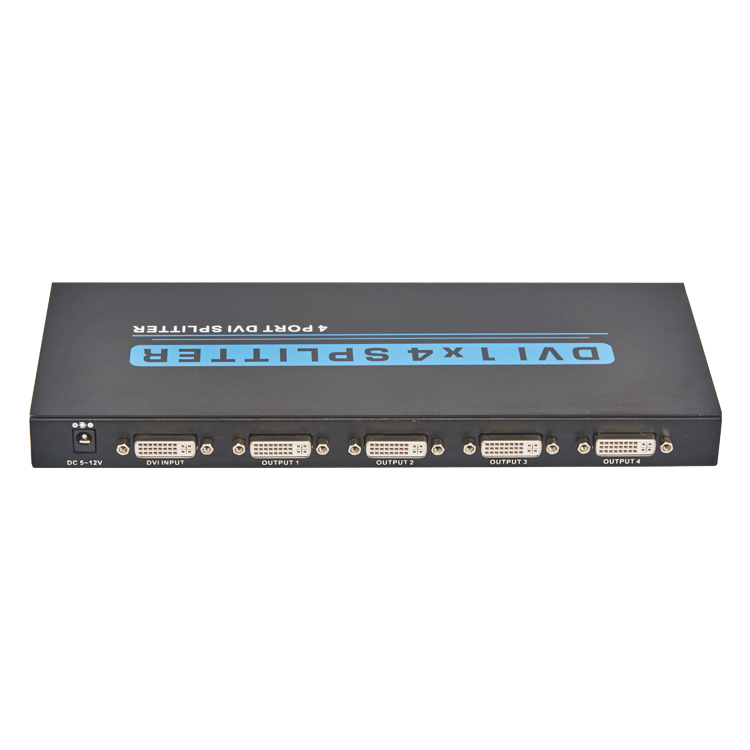 3.2 Connect dual link DVI-D cables from TV/Monitor into the DVI output ports of splitter. the signal source and the display must be able to support this resolution. 3.4 Connect DC plug of AC adapter to DC jack and inserted into the power socket.